Professional sharpening of Clipper Blades, Shears and Scissors. Very efficient service and reasonably priced. I will continue to use GroomTech in the future. 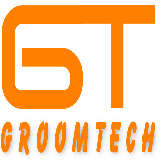 Here at GroomTech we service and repair most makes and models of equipment used in animal grooming parlours. We offer a quick turnaround and loan equipment where available.